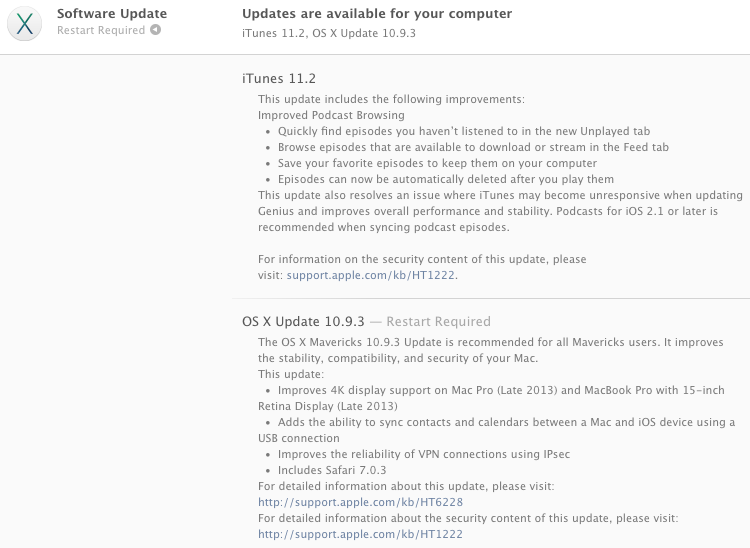 Earlier today, Apple released maintenance updates for OS X 10.9 Mavericks, iTunes 11.2, Safari 7.0.3, and the iOS Podcast app. The OS X Mavericks update, available now from the Mac App Store, is recommended for all customers running OS X 10.9. For Mac Pro and 15-inch MacBook Pro with Retina display customers using 4K displays, Apple has added improvements for the new hi-resolution monitors. The update also includes Safari 7.0.3, bringing with it security improvements. Apple also rolled out iTunes 11.2 for Mac OS X and Windows PCs. 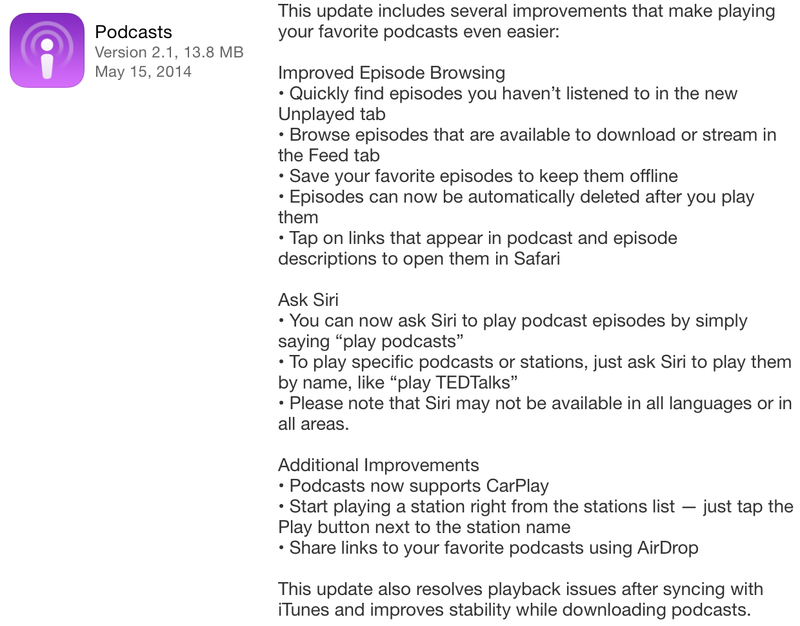 The latest maintenance release of iTunes brings with it enhancements for finding, playing, and managing podcasts. In addition to iTunes 11.2, Apple also updated their iOS Podcast app to version 2.1.
iTunes 11.2 and Podcasts 2.1 are available now from the Mac App Store (Macintosh), Apple Software Update control panel (Windows PC) and the App Store (iOS).